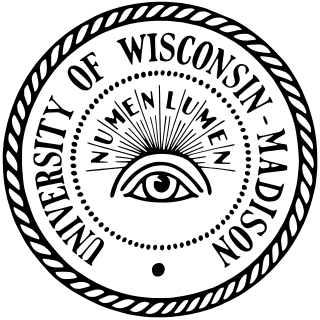 The University of Wisconsin–Madison is a public research university in Madison, Wisconsin. Founded when Wisconsin achieved statehood in 1848, UW–Madison is the official state university of Wisconsin, and the flagship campus of the University of Wisconsin System. It was the first public university established in Wisconsin and remains the oldest and largest public university in the state. It became a land-grant institution in 1866. The 933-acre (378 ha) main campus, located on the shores of Lake Mendota, includes four National Historic Landmarks. The University also owns and operates a historic 1,200-acre (486 ha) arboretum established in 1932, located 4 miles (6.4 km) south of the main campus. Robert William Holley was an American biochemist. He shared the Nobel Prize in Physiology or Medicine in 1968 for describing the structure of alanine transfer RNA, linking DNA and protein synthesis. The genetic code is the set of rules used by living cells to translate information encoded within genetic material into proteins. Translation is accomplished by the ribosome, which links amino acids in an order specified by messenger RNA (mRNA), using transfer RNA (tRNA) molecules to carry amino acids and to read the mRNA three nucleotides at a time. The genetic code is highly similar among all organisms and can be expressed in a simple table with 64 entries. 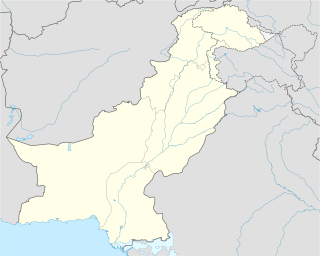 Raipur, is a village in the Sowawa Tehsil of Jhelum District in Punjab, Pakistan. It is famous as the birthplace of Nobel Laureate Har Gobind Khorana. 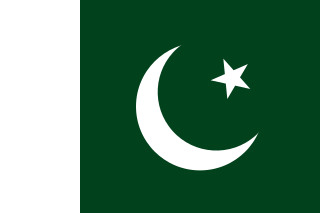 Multan is a city in Punjab, Pakistan. Located on the banks of the Chenab River, Multan is Pakistan's 7th largest city, and is the major cultural and economic centre of southern Punjab. The University of the Punjab, also referred to as Punjab University, is a public research university located in Lahore, Punjab, Pakistan. Punjab University is the oldest public university in Pakistan. With multiple campuses in Gujranwala, Jhelum, and Khanspur, the university was formally established by the British Government after convening the first meeting for establishing higher education institutions in October 1882 at Simla. Punjab University was the fourth university to be established by the British colonial authorities in the Indian subcontinent; the first three universities were established in other parts of British India. Vladimir Prelog ForMemRS was a Croatian-Swiss organic chemist who received the 1975 Nobel Prize in chemistry for his research into the stereochemistry of organic molecules and reactions. Prelog was born and grew up in Sarajevo. He lived and worked in Prague, Zagreb and Zürich during his lifetime. ETH Zurich is a science, technology, engineering and mathematics university in the city of Zürich, Switzerland. Like its sister institution EPFL, it is an integral part of the Swiss Federal Institutes of Technology Domain that is directly subordinate to Switzerland's Federal Department of Economic Affairs, Education and Research. 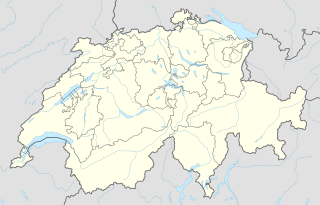 The school was founded by the Swiss Federal Government in 1854 with the stated mission to educate engineers and scientists, serve as a national center of excellence in science and technology and provide a hub for interaction between the scientific community and industry. During a brief period in 1949, he was unable to find a job in his original home area in the Punjab. He returned to England on a fellowship to work with George Wallace Kenner and Alexander R. Todd on peptides and nucleotides. He stayed in Cambridge from 1950 until 1952. George Wallace Kenner FRS was a British organic chemist. He was born in Sheffield in 1922, the son of Prof. James Kenner. During his childhood, he went to Didsbury Preparatory School in 1928 and moved to Manchester Grammar School in 1934. He was appointed to the first Heath Harrison Chair of Organic Chemistry at the University of Liverpool 1957–1976. He did his MSc and PhD degrees under Lord Todd at Manchester and Cambridge Universities in UK. He married Jillian Bird in 1951 and they had two daughters both born in Cambridge. He was faculty member at the Cambridge University for 15 years before moving to the University of Liverpool in 1957 as Heath Harrison Professor of Organic Chemistry. Alexander Robertus Todd, Baron Todd of Trumpington was a Scottish biochemist whose research on the structure and synthesis of nucleotides, nucleosides, and nucleotide coenzymes gained him the Nobel Prize for Chemistry. Har Gobind Khorana married Esther Elizabeth Sibler in 1952. They had met in Switzerland and had three children, Julia Elizabeth, Emily Anne, and Dave Roy. He extended the above to long DNA polymers using non-aqueous chemistry and assembled these into the first synthetic gene, using polymerase and ligase enzymes that link pieces of DNA together,  as well as methods that anticipated the invention of polymerase chain reaction (PCR). These custom-designed pieces of artificial genes are widely used in biology labs for sequencing, cloning and engineering new plants and animals, and are integral to the expanding use of DNA analysis to understand gene-based human disease as well as human evolution. Khorana's invention(s) have become automated and commercialized so that anyone now can order a synthetic oligonucleotide or a gene from any of a number of companies. One merely needs to send the genetic sequence to one of the companies to receive an oligonucleotide with the desired sequence. In addition to sharing the Nobel prize (while he was working at the University of Wisconsin–Madison in the U.S.),  Khorana was elected as Foreign Member of the Royal Society (ForMemRS) in 1978. In 2007, the University of Wisconsin–Madison, the Government of India (DBT Department of Biotechnology), and the Indo-US Science and Technology Forum jointly created the Khorana Program, jointly. The mission of the Khorana Program is to build a seamless community of scientists, industrialists, and social entrepreneurs in the United States and India. The program is focused on three objectives:  Providing graduate and undergraduate students with a transformative research experience, engaging partners in rural development and food security, and facilitating public-private partnerships between the U.S. and India. The Wisconsin–India Science and Technology Exchange Program (WINStep Forward, WSF) adopted administration responsibilities for the Khorana program in 2007. WINStep Forward was jointly created by Drs. Aseem Ansari and Ken Shapiro at the University of Wisconsin–Madison. WINStep Forward also administers the nationally competitive S.N. Bose Programs for Indian and American students, respectively, to promote both fundamental and applied research not only in biotechnology but broadly across all STEM (science, technology, engineering, and mathematics) fields, including medicine, pharmacy, agriculture, wildlife and climate change. 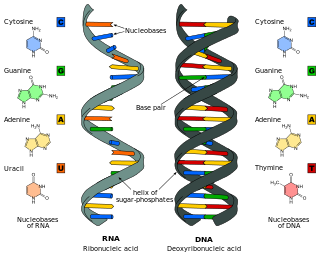 Nucleic acids are the biopolymers, or small biomolecules, essential to all known forms of life. The term nucleic acid is the overall name for DNA and RNA. They are composed of nucleotides, which are the monomers made of three components: a 5-carbon sugar, a phosphate group and a nitrogenous base. If the sugar is a compound ribose, the polymer is RNA ; if the sugar is derived from ribose as deoxyribose, the polymer is DNA. Ribonucleic acid (RNA) is a polymeric molecule essential in various biological roles in coding, decoding, regulation and expression of genes. RNA and DNA are nucleic acids, and, along with lipids, proteins and carbohydrates, constitute the four major macromolecules essential for all known forms of life. Like DNA, RNA is assembled as a chain of nucleotides, but unlike DNA it is more often found in nature as a single-strand folded onto itself, rather than a paired double-strand. Cellular organisms use messenger RNA (mRNA) to convey genetic information that directs synthesis of specific proteins. Many viruses encode their genetic information using an RNA genome. Michael Smith was a British-born Canadian biochemist and businessman. He shared the 1993 Nobel Prize in Chemistry with Kary Mullis for his work in developing site-directed mutagenesis. Following a PhD in 1956 from the University of Manchester, he undertook postdoctoral research with Har Gobind Khorana at the British Columbia Research Council in Vancouver, British Columbia, Canada. Subsequently, Smith worked at the Fisheries Research Board of Canada Laboratory in Vancouver before being appointed a professor of biochemistry in the UBC Faculty of Medicine in 1966. Smith's career included roles as the founding director of the UBC Biotechnology Laboratory and the founding scientific leader of the Protein Engineering Network of Centres of Excellence (PENCE). In 1996 he was named Peter Wall Distinguished Professor of Biotechnology. Subsequently he became the founding director of the Genome Sequencing Centre at the BC Cancer Research Centre. The year 1922 in science and technology involved some significant events, listed below. The Nirenberg and Matthaei experiment was a scientific experiment performed on May 15, 1961, by Marshall W. Nirenberg and his post doctoral fellow, J. Heinrich Matthaei. The experiment deciphered the first of the 64 triplet codons in the genetic code by using nucleic acid homopolymers to translate specific amino acids. The Nirenberg and Leder experiment was a scientific experiment performed in 1964 by Marshall W. Nirenberg and Philip Leder. The experiment elucidated the triplet nature of the genetic code and allowed the remaining ambiguous codons in the genetic code to be deciphered. Marshall Warren Nirenberg was an American biochemist and geneticist. He shared a Nobel Prize in Physiology or Medicine in 1968 with Har Gobind Khorana and Robert W. Holley for "breaking the genetic code" and describing how it operates in protein synthesis. In the same year, together with Har Gobind Khorana, he was awarded the Louisa Gross Horwitz Prize from Columbia University. Paul Berg is an American biochemist and professor emeritus at Stanford University. He was the recipient of the Nobel Prize in Chemistry in 1980, along with Walter Gilbert and Frederick Sanger. The award recognized their contributions to basic research involving nucleic acids. Berg received his undergraduate education at Penn State University, where he majored in biochemistry. He received his Ph.D. in biochemistry from Case Western Reserve University in 1952. Berg worked as a professor at Washington University School of Medicine and Stanford University School of Medicine, in addition to serving as the director of the Beckman Center for Molecular and Genetic Medicine. In addition to the Nobel Prize, Berg was presented with the National Medal of Science in 1983 and the National Library of Medicine Medal in 1986. Berg is a member of the Board of Sponsors for the Bulletin of the Atomic Scientists. Howard Martin Temin was a US geneticist and virologist. He discovered reverse transcriptase in the 1970s at the University of Wisconsin–Madison, for which he shared the 1975 Nobel Prize in Physiology or Medicine with Renato Dulbecco and David Baltimore. Thomas Robert Cech is an American chemist who shared the 1989 Nobel Prize in Chemistry with Sidney Altman, for their discovery of the catalytic properties of RNA. Cech discovered that RNA could itself cut strands of RNA, suggesting that life might have started as RNA. He also studied telomeres, and his lab discovered an enzyme, TERT, which is part of the process of restoring telomeres after they are shortened during cell division. As president of Howard Hughes Medical Institute, he promoted science education, and he teaches an undergraduate chemistry course at the University of Colorado. Walter Fiers is a Belgian molecular biologist. Arturo Falaschi was an Italian geneticist. Jerard Hurwitz was an American biochemist who co-discovered RNA polymerase in 1960 along with Sam Weiss, Audrey Stevens, and James Bonner. He most recently worked at the Sloan-Kettering Institute in New York studying DNA replication in eukaryotes and its control. Dieter Gerhard Söll is a Sterling Professor of Molecular Biophysics and Biochemistry and Chemistry at the Yale University. He earned his B.S. and Ph.D. from Stuttgart University in 1962 and did his postdoctoral work at University of Wisconsin–Madison from 1962-1965 with Har Gobind Khorana. He was briefly an assistant professor at University of Wisconsin before joining the Yale faculty in 1967 and has been there since. He was named a Sterling Professor in 2006. As a postdoc with Jack Strominger, he identified tRNAs that were involved in peptidoglycan formation leading to the discovery of novel aminoacyl-tRNA functions. He later sequenced the selenocysteine tRNA. His research is centered on the formation of aminoacyl-tRNA and tRNA synthetases. He is a member of the National Academy of Science, fellow of the American Academy of Arts and Sciences, and was named a Guggenheim Fellow in 1972 and 1989 and a Humboldt Fellow in 2000. In addition to his academic work, he has been recognized as a leader in creating research opportunities for minority students notably by spearheading a program to bring students from Tougaloo College to Yale University for summer research in the early 1970s. Keiichi Itakura is an organic chemist and a Professor in the Department of Molecular and Cellular Biology at the Beckman Research Institute at City of Hope National Medical Center. Marvin H. Caruthers is an American biochemist who is a Distinguished Professor at the University of Colorado Boulder. Santanu Bhattacharya is an Indian bioorganic chemist and a professor at the Indian Institute of Science. He is known for his studies of unnatural amino acids, cyclic peptides and biologically active natural products and is an elected fellow of the Indian National Science Academy The World Academy of Sciences and the Indian Academy of Sciences The Council of Scientific and Industrial Research, the apex agency of the Government of India for scientific research, awarded him the Shanti Swarup Bhatnagar Prize for Science and Technology, one of the highest Indian science awards, in 2003, for his contributions to chemical sciences. He is also a recipient of the National Bioscience Award for Career Development of the Department of Biotechnology (2002) and the TWAS Prize (2010). ↑ Caruthers, M.; Wells, R. (2011). "Har Gobind Khorana (1922-2011)". Science. 334 (6062): 1511. Bibcode:2011Sci...334.1511C. doi:10.1126/science.1217138. PMID 22174242. ↑ Rajbhandary, U. L. (2011). 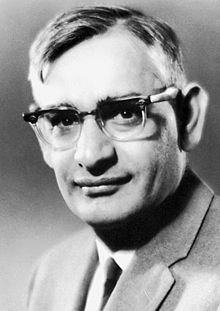 "Har Gobind Khorana (1922–2011)". Nature. 480 (7377): 322. Bibcode:2011Natur.480..322R. doi:10.1038/480322a. PMID 22170673. ↑ Gellene, Denise (14 November 2011). "H. Gobind Khorana, 1968 Nobel Winner biochemist for RNA Research, Dies". The New York Times. ISSN 0362-4331 . Retrieved 9 January 2018. 1 2 3 Kumar, Chandan. "H. Gobind Khorana – Biographical". Nobel Prize.org. Nobel Prize. Retrieved 9 January 2018. ↑ "The Official Site of Louisa Gross Horwitz Prize". ↑ Thomas P. Sakmar (2012). "Har Gobind Khorana (1922–2011): Pioneering Spirit". PLoS Biology . 10 (2): e1001273. doi:10.1371/journal.pbio.1001273. PMC 3283548 . ↑ "Google Doodle honors DNA researcher Har Gobind Khorana". usatoday.com. Retrieved 9 January 2018. ↑ Gupta, Om (1 April 2006). Encyclopaedia of India, Pakistan and Bangladesh. Gyan Publishing House. ISBN 9788182053892 . Retrieved 9 January 2018– via Google Books. 1 2 3 4 5 6 Zhao, Xiaojian; Ph.D, Edward J. W. Park (26 November 2013). Asian Americans: An Encyclopedia of Social, Cultural, Economic, and Political History [3 volumes]: An Encyclopedia of Social, Cultural, Economic, and Political History. ABC-CLIO. ISBN 9781598842401 . Retrieved 9 January 2018– via Google Books. 1 2 "H Gobind Khorana". The Telegraph. 15 November 2011. Retrieved 7 January 2019. ↑ "Har Gobind Khorana: Why Google honours him today". Al Jazeera. Retrieved 9 January 2018. 1 2 3 4 5 6 7 8 "Gobind Khorana, MIT professor emeritus, dies at 89". mit.edu. Retrieved 9 January 2018. 1 2 "All you need to know about Har Gobind Ghorana, who Google is celebrating today with a Doodle". Independent. 8 January 2018. Retrieved 9 January 2018. 1 2 3 4 5 6 Ainsworth, Susan J. "Har Gobind Khorana Dies At 89 – November 21, 2011 Issue – Vol. 89 Issue 47 – Chemical & Engineering News". cen.acs.org. Retrieved 9 January 2018. ↑ Zulueta, Benjamin C. (2013). "Khorana, Har Gobind (1922–2011)". In Zhao, Xiaojian (ed.). Asian Americans: An Encyclopedia of Social, Cultural, Economic, and Political History. Santa Barbara, California: Greenwood, an imprint of ABC-CLIO, LLC. pp. 652–655. ISBN 9781598842401. OCLC 911399074. 1 2 3 RajBhandary, Uttam L. (14 December 2011). "Har Gobind Khorana (1922–2011)". Nature. Retrieved 9 January 2018. ↑ "History – Department of Biochemistry". biochem.ubc.ca. Retrieved 9 January 2018. ↑ Lindsten, Jan (9 January 1999). Physiology Or Medicine, 1963–1970. World Scientific. ISBN 9789810234126 . Retrieved 9 January 2018– via Google Books. 1 2 "Biochemist Har Gobind Khorana, whose UW work earned the Nobel Prize, dies". news.wisc.edu. Retrieved 10 January 2017. ↑ Kresge, Nicole; Simoni, Robert D.; Hill, Robert L. (29 May 2009). "Total Synthesis of a Tyrosine Suppressor tRNA: the Work of H. Gobind Khorana". The Journal of Biological Chemistry. 284 (22): e5. ISSN 0021-9258. PMC 2685647 . ↑ "H. Gobind Khorana – Facts". www.nobelprize.org. Retrieved 9 January 2018. 1 2 3 "Har Gobind Khorana deciphered DNA and wrote the dictionary for our genetic language". vox.com. Retrieved 9 January 2018. 1 2 "Who Is Har Gobind Khorana? Why Google Is Celebrating the Nobel Prize-Winner". Time. Retrieved 9 January 2018. ↑ "MIT HG Khorana MIT laboratory". 1 2 "HG Khorana Nobel Lecture". 1 2 Khorana, H. G. (1979). "Total synthesis of a gene". Science. 203 (4381): 614–625. Bibcode:1979Sci...203..614K. doi:10.1126/science.366749. PMID 366749. ↑ Kleppe, K.; Ohtsuka, E.; Kleppe, R.; Molineux, I.; Khorana, H. G. (1971). "Studies on polynucleotides *1, *2XCVI. Repair replication of short synthetic DNA's as catalyzed by DNA polymerases". Journal of Molecular Biology. 56 (2): 341–361. doi:10.1016/0022-2836(71)90469-4. PMID 4927950. ↑ Wildenauer, D.; Khorana, H. G. (1977). "The preparation of lipid-depleted bacteriorhodopsin". Biochimica et Biophysica Acta. 466 (2): 315–324. doi:10.1016/0005-2736(77)90227-9. PMID 857886. ↑ Ahuja, S.; Crocker, E.; Eilers, M.; Hornak, V.; Hirshfeld, A.; Ziliox, M.; Syrett, N.; Reeves, P. J.; Khorana, H. G.; Sheves, M.; Smith, S. O. (2009). "Location of the Retinal Chromophore in the Activated State of Rhodopsin*". Journal of Biological Chemistry. 284 (15): 10190–10201. doi:10.1074/jbc.M805725200. PMC 2665073 . PMID 19176531. ↑ "Fellowship of the Royal Society 1660–2015". London: Royal Society. Archived from the original on 15 July 2015. ↑ "Khorana Program for Scholars". 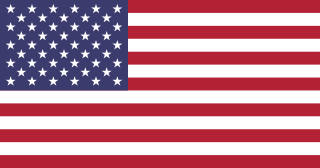 iusstf.org. New Delhi, India: Indo-US Science and Technology Forum. Retrieved 9 January 2018. ↑ "History". winstepforward.org. Madison, WI: WINStep Forward. Retrieved 26 June 2018. ↑ "Har Gobind Khorana's 96th Birthday". www.google.com. ↑ "Har Gobind Khorana's 96th Birthday". Google. 9 January 2018. Retrieved 10 January 2018. ↑ Molina, Brett. "Google Doodle honors DNA researcher Har Gobind Khorana". USA Today. Retrieved 9 January 2018. 1 2 Bernstein, Adam (11 November 2011). "H. Gobind Khorana, biochemist and Nobel Prize winner, dies" . Retrieved 9 January 2018– via www.washingtonpost.com.